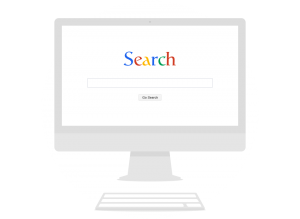 When your customers want to find something online they begin with a search engine. The practice of Search Engine Optimization (SEO for short) is the process of improving how your website is ranked by search engines through optimized code, site architecture, and meaningful content. It affects the visibility of the pages on your website in a search engines natural (un-paid) search results. Making sure your brand is found by your customers is no longer a matter of choosing the right keywords to include in your websites metadata. Modern search engines including Google, Yahoo!, and Bing use advanced algorithms that rank and return search results based on how well your website is optimized. This includes an assessment of your code quality and design architecture. All our sites are built on a powerful framework of clean, optimized code with intelligent design architecture to ensure you receive the best ranking possible. In addition to optimized code, having a simple strategic site structure is very important. The way content is broken out on your website tells search engines and your users about your businesses areas of expertise, and is useful in determining whether or not the content contained within is a good match for their search. We will work with you to break down the content you want to offer online into an excellent site structure, create well worded URLs, and generate site maps to ensure users and search engines know what content you have to offer.